At last count, San Antonio was America’s eighth largest city. With more than a million residents, it is incredible that San Antonio can still feel like a small town. That’s especially true in the downtown area where so much of historic value is found. Somehow, the residents’ strong sense of community permeates every brick in every building. The clean, safe surroundings make strangers feel at home. Anyone who visits here immediately sees that San Antonio is a city with a big heart. 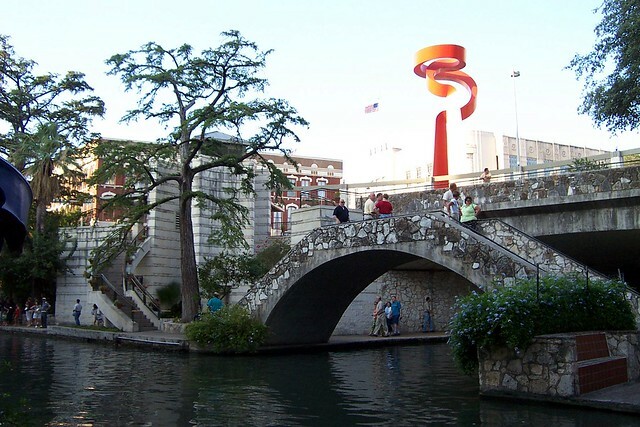 While San Antonio may be one of America’s largest cities, it is also one of its oldest. Settlers from the Canary Islands came here in 1731. The land on which the city stands has been the scene of military conflicts, most notably the fight at the Alamo in the nineteenth century. The settlers from Mexico and the Texas ranchers may have clashed then, but that rupture has long since been repaired. The result is a rich blending of cultures that makes San Antonio a fascinating destination. Perhaps the best way to celebrate this culture clash is by finding a Tex-Mex restaurant in the city’s River Walk. River Walk is an attraction all on its own with its meandering pathways that follow the twists and turns of the river. Aged bridges connect both shores at various points, making it easy to wander between shops and restaurants. There is plenty to see and do and many excellent restaurants to try. For an authentic experience, a Tex-Mex establishment is best. Lucky travelers can settle in with a big platter of spicy, steaming dishes that successfully combine soft and crispy textures with plenty of melting cheese. Be sure to select an entrée that features beef – this is cattle country, after all, and beef dishes in San Antonio are succulent. Order a refreshing margarita to wash it down. To make the experience truly special, there will probably be a mariachi band nearby. Sombreros, colorful traditional costumes, the strumming of a guitar and the high, lonesome sound of the singing make a perfect memory that can never be forgotten. Next, journey to La Villita, the oldest neighborhood in the city. Long ago, this was the site of an Indian village. Over the centuries, other groups have left their mark. The Germans and the Spanish have settled here, and in the early twentieth century, this area essentially became an artists’ colony. A person could easily spend hours wandering here, browsing turquoise beads and hearing the clink of silver bangle bracelets. A cooling breeze flows from the river. As the soft sounds of Spanish waft from the market stalls, the bright colors of hand woven wool blankets capture the eye. To shop along La Villita’s narrow pathways is to take a journey through San Antonio’s long and complex history. No trip to this historic city could be complete without a visit to its most well known spot, the Alamo. Originally, the Alamo was a mission. The Spanish established it in 1718, and after a couple of relocations, the mission was permanently settled on the spot it now occupies. Today, the Alamo sits in the midst of San Antonio's bustling downtown. Nonetheless, visitors who are fortunate enough to visit the site before the arrival of the heaviest crowds will find that a peaceful atmosphere pervades the space. It's possible to hear the breeze moving softly by, as if it is the calm before a storm. In a moment like that, it's possible to better appreciate San Antonio's age, its complex history and the glorious blending of cultures that has happened here. Kevin Caldwell love to travel and write about his experiences and the places he has traveled. He has also created a website to to help travelers who are visiting Dublin to easily find hotels near Temple Bar.